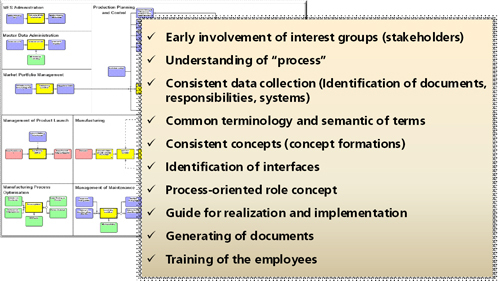 The FLEXINET project works on a common reference ontology for global production networks. Within the project, IPK works especially on the development of a closer link between strategic and operational decision making. The metaphor underlying FLEXINET is ‘to start with a new business idea in the morning and have all the required data and networks understood by the afternoon’. This includes business cases of the new ideas and services, providing cost comparisons, risk analyses, network configuration evaluations and product service compliance requirements. It focuses on acceleration in the decision making within the establishment or adaptation of business ideas in new global production networks. 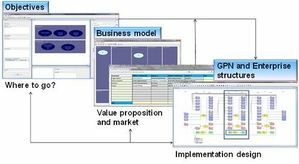 To glue the strategic decision making and the tactical planning together, enterprise modelling techniques are applied such as the MO²GO system. This leads to a strategic view on the MO²GO models. In January 2015 the project had a successful midterm review and in June 2015 software prototypes are available (http://www.flexinet-fof.eu). The research leading to these results has received funding from the European Community’s 7th Framework Programme under grant agreement no NMP2-SL-2013-608627. The new MO²GO Version 1.6 r3 is now available. The model based requirement documentation and automatic requirement book generation has been successfully applied in industrial projects. 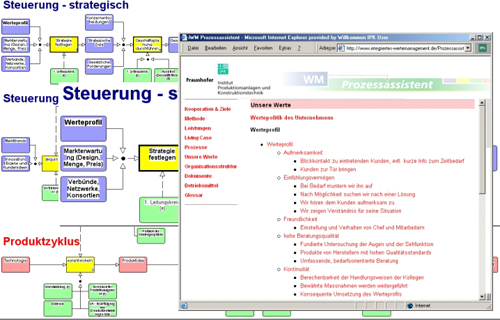 It supports the requirement collection related to process steps. IEM/MO²GO used in IPK certification. Successful certification of the IPK according to ISO 9001 : 2000. The MO²GO system contributed to the quickness and the large acceptance of the quality management system. The generation at a push of a button of a web-based, permanently available and simply accessible Process Assistant assures the flexible maintenance of the living system. Integriertes Wertemanagement nachhaltig umgesetzt mit IUM/MO²GO Geschäftsprozessmodellen.